The Bachelor in Dance Studies (Honours) is a 3-year programme combining practice and theory within the dance discipline with a team of international lecturers, academics and practitioners. With a strong focus on technique and performance, the students have two daily classes in ballet and contemporary dance. About half of the study units are practice-based, including modules like choreography, dance devising, dance and technology, movement analysis or performance collaboration. Academic subjects then look at analysing dance practice from a critical perspective and include modules such as dance as communication, dance and performance theory, or choreological perspectives. Students have performance opportunities throughout the three years. The first three months of the third year are dedicated to a local and international tour that allows the students to experience life as part of a dance company. Past tours have visited UK and Italy, with the 2014 tour being planned to Spain. Graduates have gone on to further their studies abroad, both in theory based MA on dance studies or management (at City University or Goldsmiths in London, or NYU in New York), in performance-based postgraduate companies (such as Edge or MapDance in the UK), and some graduates have also continued to work with the national dance company of Malta, ZfinMalta Dance Ensemble, as dancers or apprentices. The course is free to EU citizens. 1. 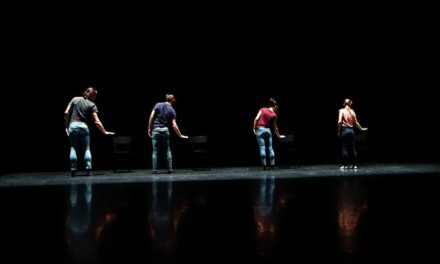 A short phrase of movement to be shown with or without music, max 3 minutes (this can be their own choreography, or learnt). 2. A piece of writing about dance (250 words). This should be a response to a dance performance recently seen or a dance book. 3. Any notes on their individual interest in Dance Studies and questions about the course. – a piece of writing about dance (250 words). This should be a response to a dance performance recently seen or a dance book. After sending in your material you will be required to schedule a Skype interview.